Second last update of the month! We have another contest here on Rewards Canada! You can enter to win 2 tickets to the Aeroplan dExclusives "An Evening with Rod Stewart" in Toronto. Find out more here. 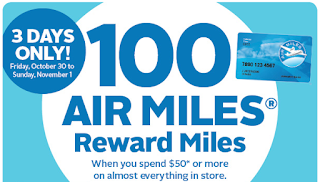 As we see almost every week or multiple times weekly, there is another AIR MILES offer for Rexall purchases. A little higher this week than past weeks and no coupon needed. 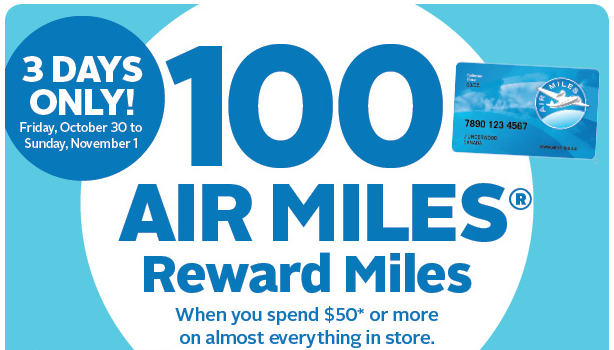 2 and half days left to vote for your favourite travel rewards credit card! Vote here! Alitalia has launched a business class sale for their flights out of Toronto. Fares are as low as $3,625 all in for travel Nov 2 - Dec 18 if booked by Nov 2. Find out more here.